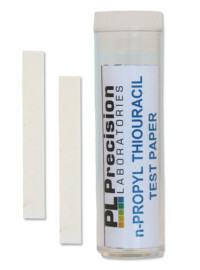 The Potassium Iodide Starch test paper detects free Iodine, Chlorine and Peroxides in solution. Lower levels react with the strip at 5 – 10 ppm. 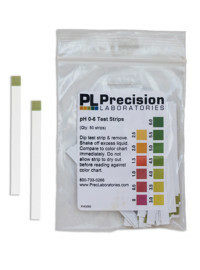 Iodine requires approximately 60 seconds to react, and initial reactions show a slight blue color, while higher concentrations turn the strip from dark blue to purple. 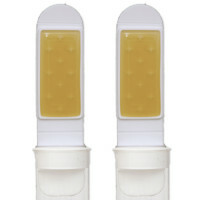 Our Potassium Iodide Starch Paper is also available in a military grade (See Additional Information). Remove one Potassium Iodide Starch test paper from the vial, being careful not to touch the paper anywhere other than where you grasp it. 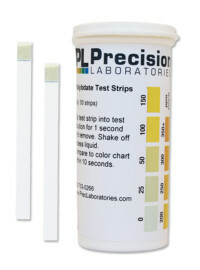 Dip the paper strip into the solution to be tested for 1-2 seconds. Remove the strip and shake off any excess liquid. 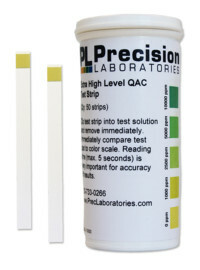 Chlorine and Peroxides react immediately, while Iodine requires approximately 60 seconds. Initial reactions show a slight blue color, while higher concentrations turn the strip from dark blue to purple. 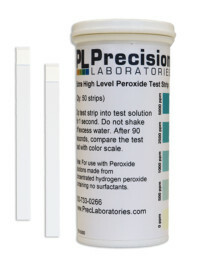 The upper limits for chlorine and peroxides are between 400 to 450 ppm, and the upper limits for Iodine are at 50 to 100 ppm.